This small oval sign is made in red, white, and blue. 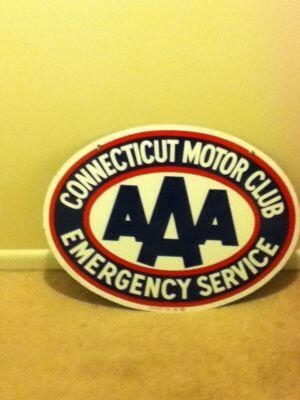 The sign is a single sided porcelain sign that is for Connecticut Motor Club Emergency Service. In the center of the sign are the letters AAA. The sign is small and has some mounting holes at the top.